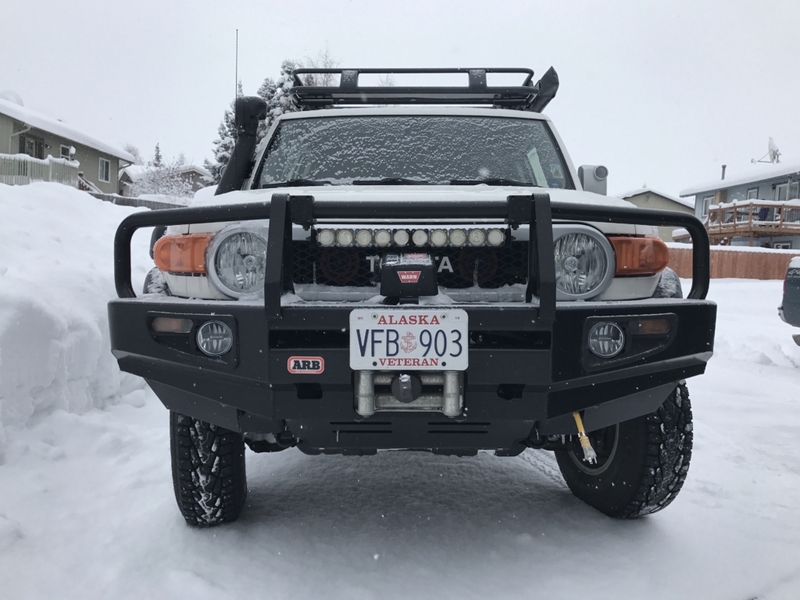 This guide explains how we installed the KC Hilites Gravity 4″ fog lights into our ARB bumper. This should work with all ARB bumpers that have the triangular plastic light housings. 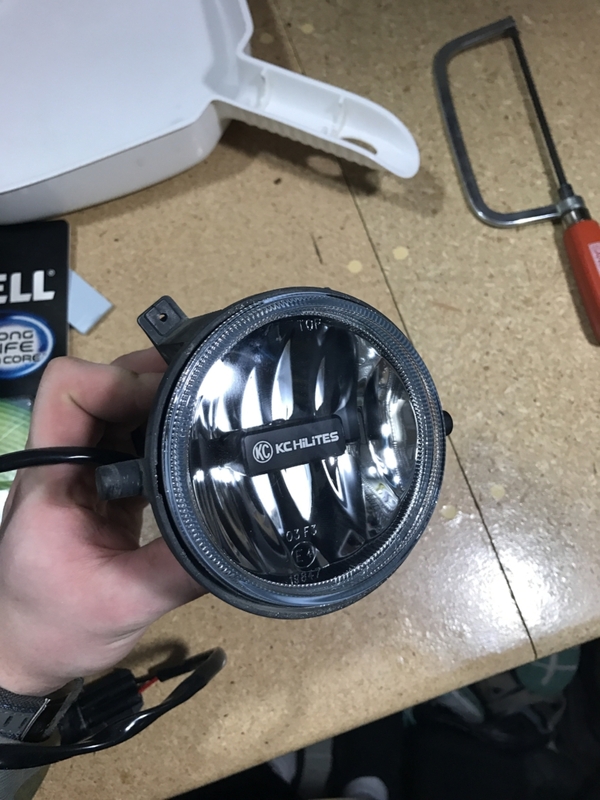 We are impressed with the light output and color of these LEDs and its nice KC gives the option for an amber kit as well. 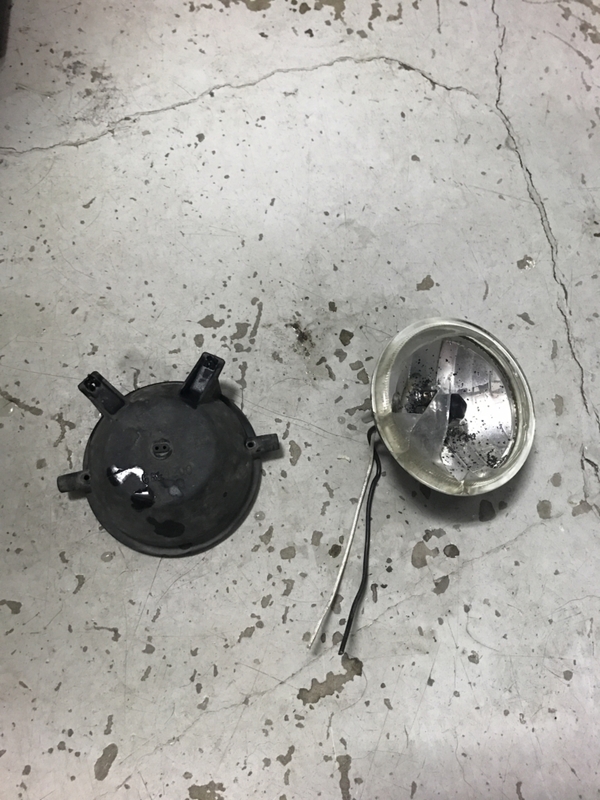 This install method will require you to already have the ARB fog light kit since we will be using the housing from the ARB lights. You can also mount them by epoxying some pins on the side of the lights, this was out original plan but found this alternate method which was much easier. 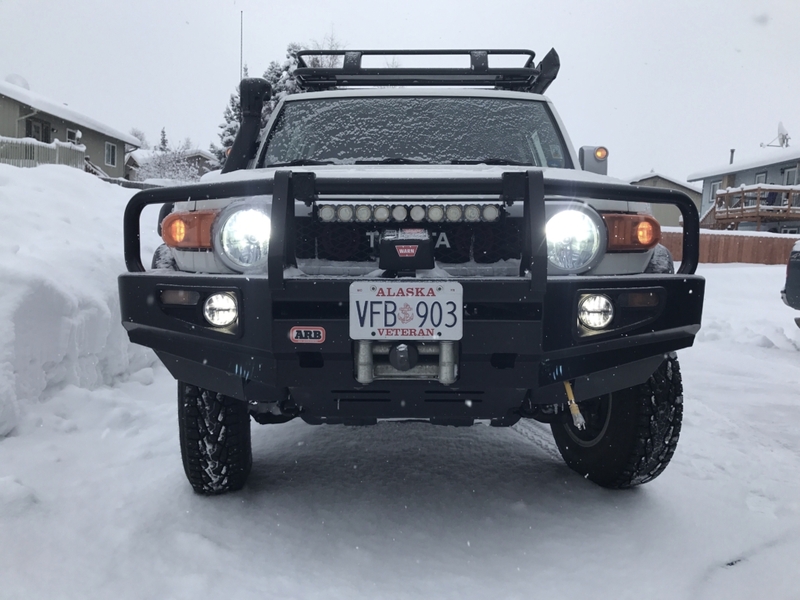 Remove both fog lights from the bumper. 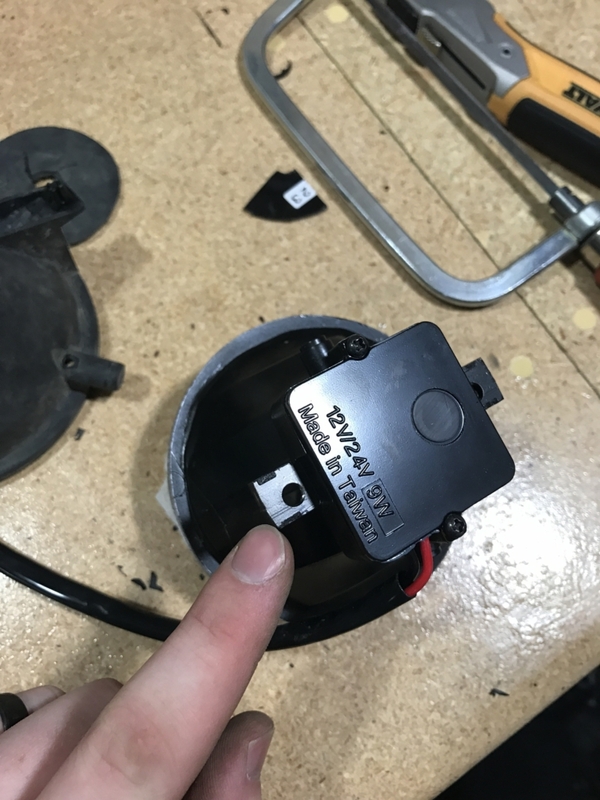 You can do this by unplugging the wires, removing the adjustment screw and spring, and pop the lights pins out of the mount. Once removed unscrew the two small screws that are located behind the mounting pins and separate the housing from the light. 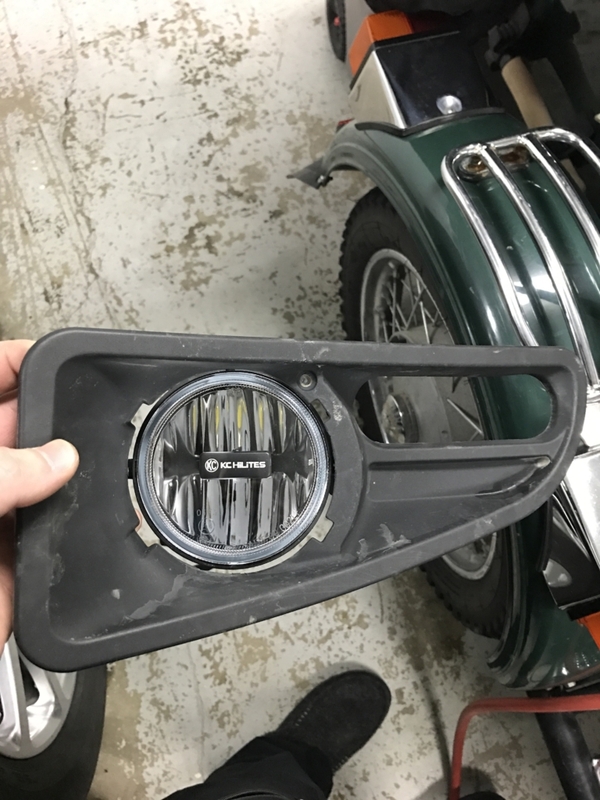 Next prep the KC fog lights by removing the mounting bracket and trim the two metal tabs from the rear of the light. 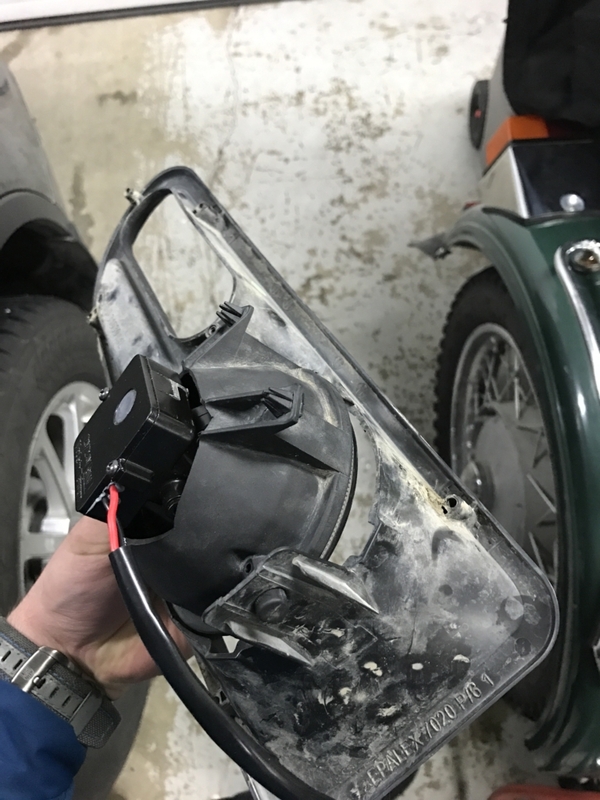 Next use a dremel or box knife to cut open the rear of the ARB light housing. We started with a circle then adjusted the dimensions so the back of the KC light fit through. 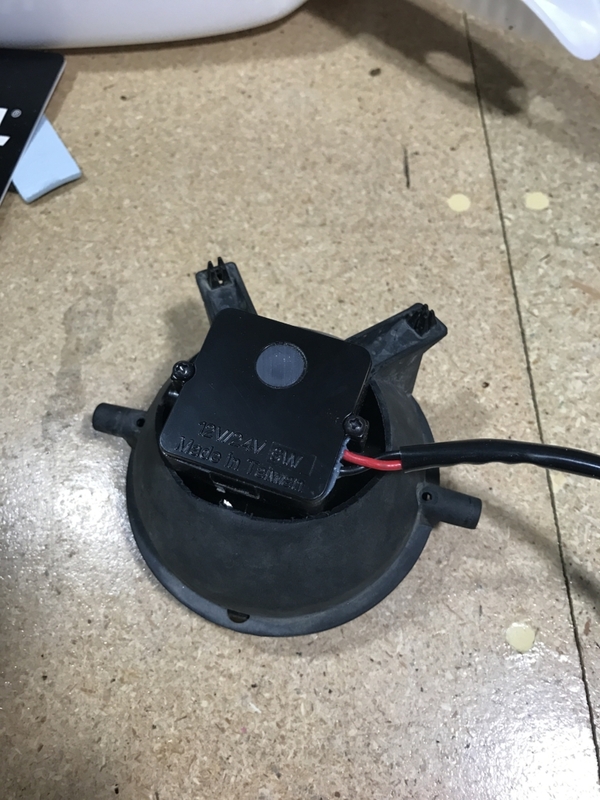 You will also note that you will need to cut a bit of excess around where the KC lights original mounting holes are located. Trim until the light fits flush inside the front lip of the housing. 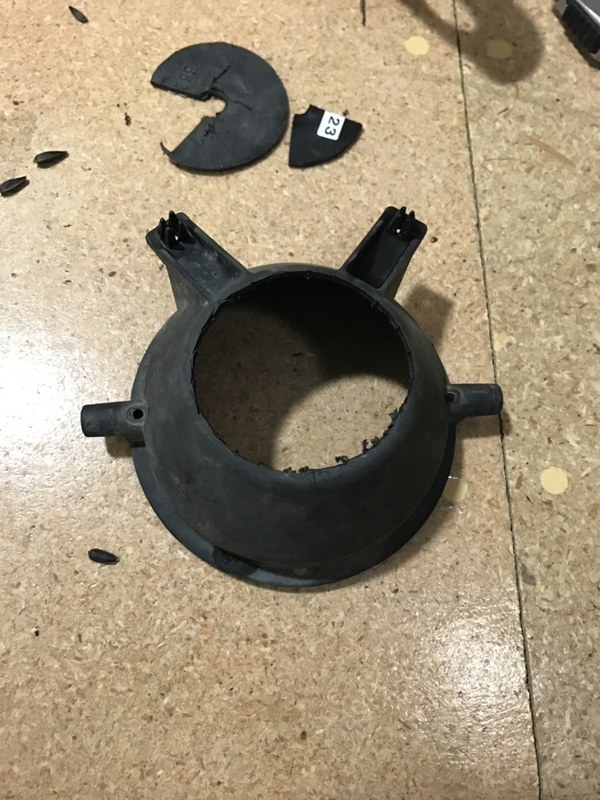 Next I drilled a hole in the bottom of the housing to allow water to drain if needed. There are two way you can do the next step. 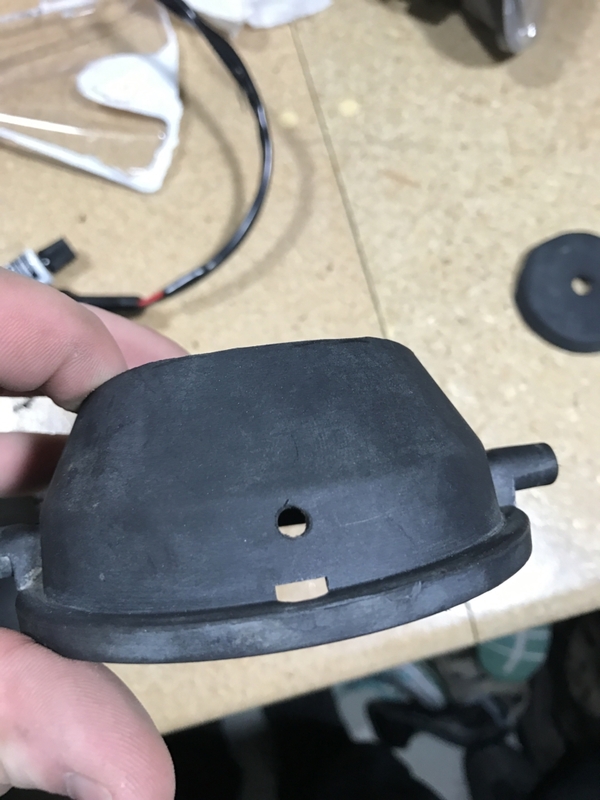 I used epoxy to glue the light to the housing but if you want to be able to remove the light and reuse the housing I recommend carefully cutting the back of the housing so the original KC mounting screws will hold the light back against the housing. It could be done and will allow the housing to be reused if a light happens to break. If you decide to use epoxy, lay a light bead around the back of the lip on the light. Then place the light into the housing making sure the light is level in the housing and the tabs for the light adjustment are at the top of the light. Once the light has cured you are all set to reinstall the light back into the housing on the bumper. Install the adjustment screw and spring, and connect the wiring as required. 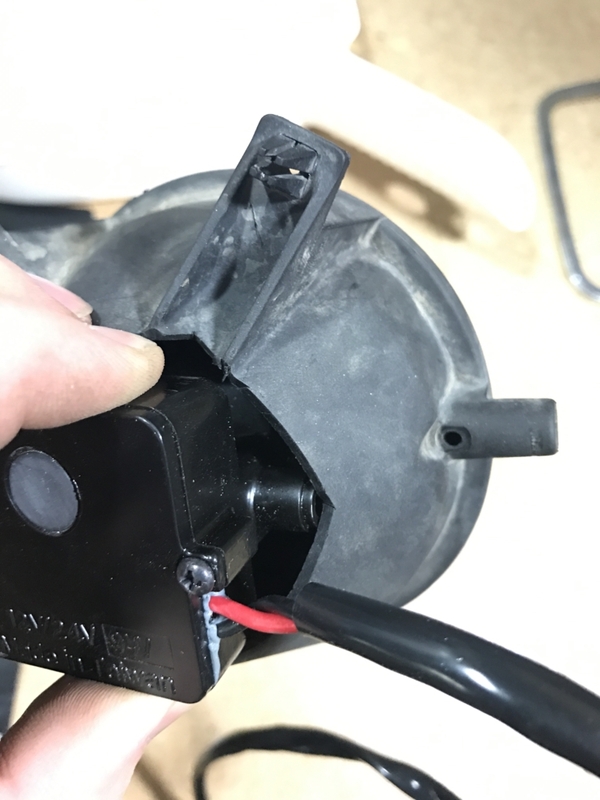 If you are replacing previously installed ARB fog lights and they were installed according to ARB’s instructions, then the white wire is positive and connects to the red lead on the KC lights.